Juhl, a 344–residence, loft-style community that spans an entire city block in downtown Las Vegas and known for its flexible floor plans and industrial chic design aesthetic, announces its 2017-18 Artist in Residence. 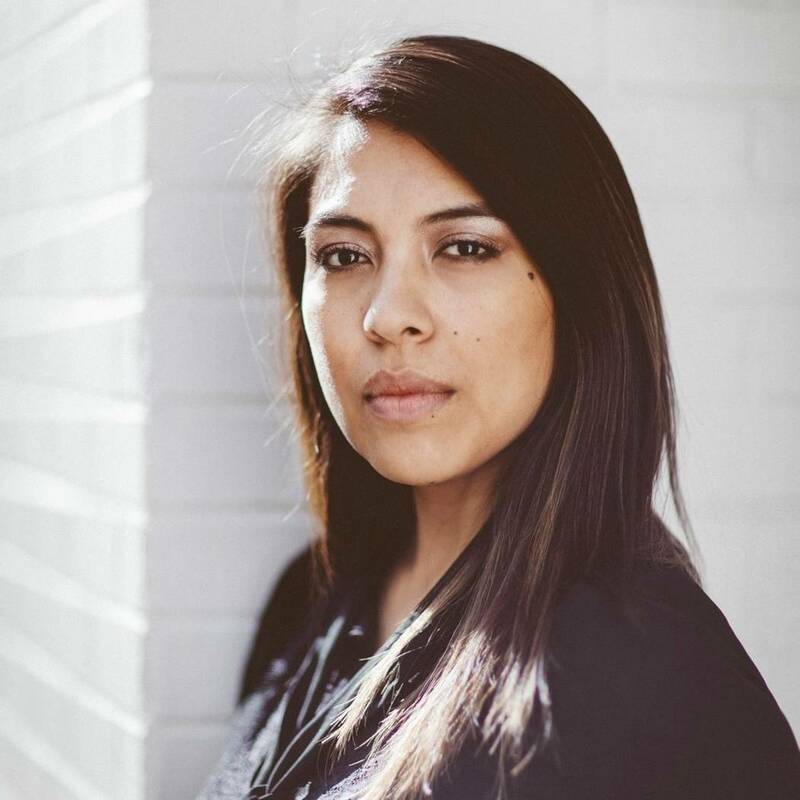 Krystal Ramirez, a multidisciplinary artist who works primarily in textiles, was selected by a jury from more than 30 applicants. The Juhl Artist in Residency initiative invites working Nevada artists to apply for the program, which provides select artists the opportunity to live and work rent-free at Juhl in the heart of downtown Las Vegas for a residency of up to six months. The residency includes a two-level live/work space at Juhl with a ground-level studio space of about 1,000 square feet and approximately 1,000 square feet of living space on the second floor. Ramirez will begin her Juhl residency on Oct. 1, 2017. A first-generation daughter of Mexican immigrants, Ramirez’s works emote themes of justice and visibility, building off her internal dialogues and offering a discourse on anxiety, expression and communication rooted in her Chicana identity. Ramirez was recently invited to contribute to the Barrick Museum of Arts collection and is one of 30 Nevada artists whose work is featured in Tilting the Basin: Contemporary Art in Nevada in downtown Las Vegas. In addition to showing in galleries around Nevada, Ramirez’s work has been on view at the Clark County Government Center and exhibited at the Contemporary Arts Center, Nevada Art Museum and Winchester Cultural Center. She is a 2009 graduate of UNLV in fine arts. Ramirez was selected by a jury consisting of Uri Vaknin, Juhl owner and board member at the Art Museum at Symphony Park; Justin Favela, Nevada artist and current Juhl Artist in Residence; Michele Quinn, principal, MCQ, Michele Quinn Fine Art Advisory, nationally recognized art consultant and curator, and board member at the Art Museum at Symphony Park; and Katie O’Neill, chairman of the board at the Art Museum at Symphony Park. According to Vaknin, a partner at KRE Capital LLC, whose company, in partnership with Dune Real Estate Partners and Northcap, purchased Juhl in 2013 as DK Las Vegas, the quality of the applicants reflects the depth of talent that exists in Las Vegas. Juhl encompasses multiple buildings, including a high-rise, a mid-rise, brownstones, live/work spaces, retail spaces and a warehouse-style loft building. Many of its residences can be customized via 130 unique floor plan configurations, including many that are one-of-a-kind within the property. Homes at Juhl range from 600 to just under 2,000 square feet and start in the high $100,000s. Recently refreshed, Juhl boasts an upgraded resort-style pool with cabanas, lobby and co-op working spaces that cater to its professional residents. Hallmarks of Juhl include flexible floor plans, large terraces and floor-to-ceiling windows that maximize natural light. Private balconies, 10-foot ceilings, energy-efficient design and details, exposed concrete surfaces and mechanicals and upgraded fixtures and surfaces all combine to create Juhl’s cool urban vibe. Amenities include an al fresco screening room; two-story fitness facility overlooking the pool and spa; 10th-floor wine patio, dining deck and fire pit; 24-hour security; gated parking structure with assigned resident parking; and full-service concierge. A summer kitchen, called “Canvas Grill,” is the perfect spot for warm-weather entertaining. And a nearby Urban Garden plot exclusively for use by Juhl residents makes it possible to grow fresh herbs and vegetables — in the heart of the city.